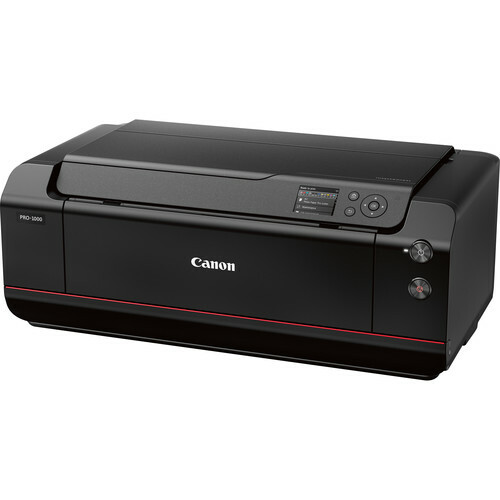 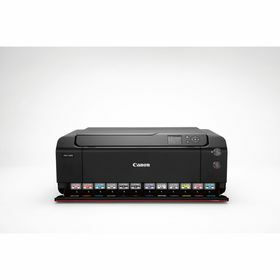 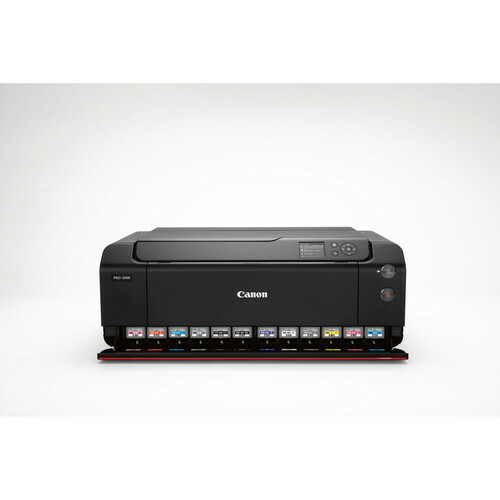 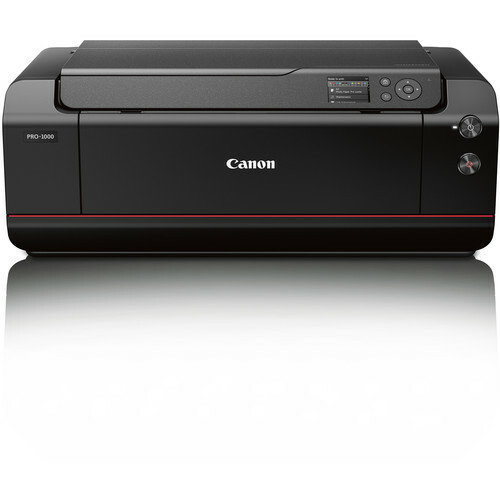 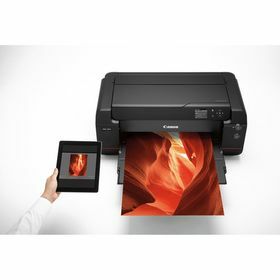 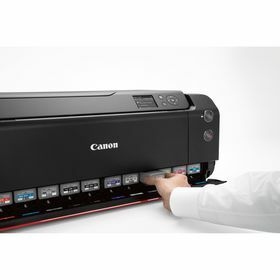 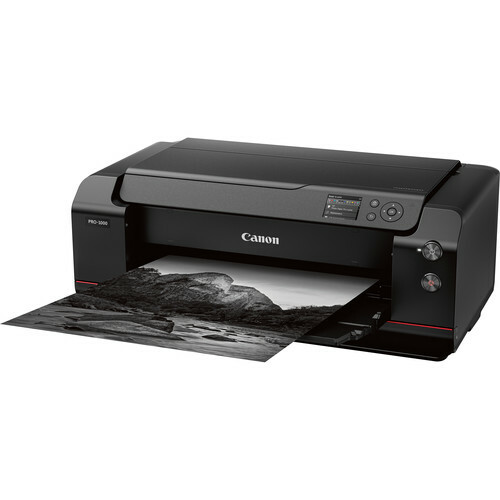 Marked with the distinctive red line normally found on Canon's professional lenses, the imagePROGRAF PRO-1000 17" Professional Photographic Inkjet Printer is designed to offer users large-format print sizes with exceptional image quality. This printer leverages the outstanding FINE (Full-Photolithography Inkjet Nozzle Engineering) technology with a 50% larger print head than previous offerings and the 11-color LUCIA PRO pigment-based ink set and Chroma Optimiser to create prints with fine detail and a wide, accurate color gamut. 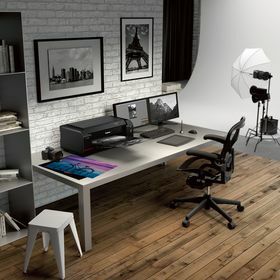 The PRO-1000 also offers the largest print size in the imagePROGRAF line, up to 17" wide, and can print borderless at up to 17 x 22" as well as work with thick 27.6 mil fine art media. 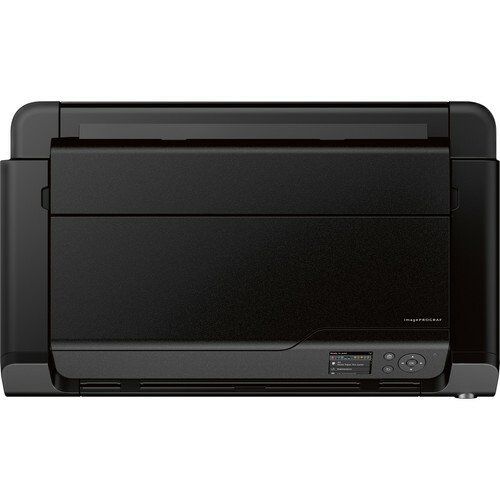 Equipped with the L-COA PRO Image Processing Engine, the PRO-1000 can quickly and accurately determine printing paths and patterns in order to work as quickly and efficiently as possible. 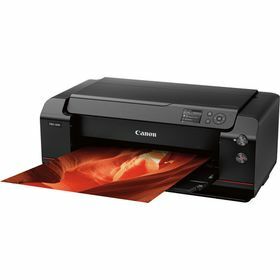 This enables bordered 17 x 22" photos to be created in just 4 minutes 10 seconds while a two-way vacuum feeder keeps media flat and quickly, accurately feeds the media. Also, to expand on the capabilities of the LUCIA PRO ink set, it offers four monochrome inks that reduce bronzing, increase black density, and expand dynamic range in the shadows for excellent grayscale prints. Additionally, the Chroma Optimiser cartridge improves color consistency on coated papers and reduces the difference in ink droplet height to ensure a smooth ink layer and less metamerism.